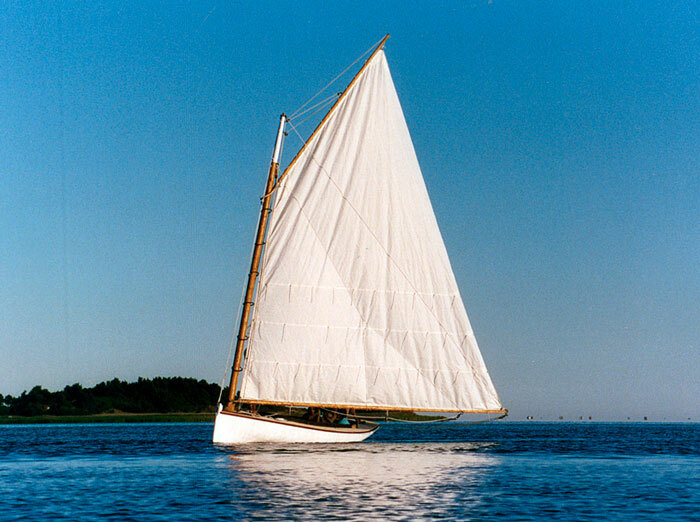 Tom Crucitti works for Arey's Pond Boat Yard where he restored this 22' Great South Bay Cat, ANN ELIZABETH. He replaced five planks, three frames, and the entire deck. ANN ELIZABETH was relaunched on August 10th 2002. Contact Arey's Pond at Box 222, South Orleans, MA 02662.